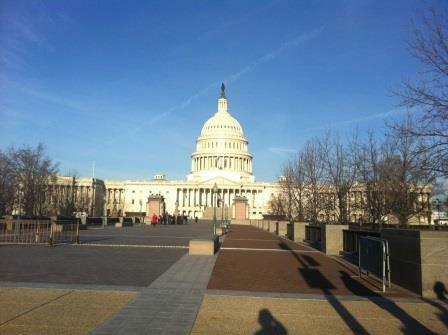 Capital District Clean Communities joined clean transportation leaders and other Clean Cities coordinators from across the nation in Washington, D.C. last week (March 30 – April 2), to educate federal policymakers about the need to expand America’s use of alternative fuels, including biofuels, electricity, natural gas, and propane autogas. The Energy Independence Summit, coordinated by the Transportation Energy Partners, is the premier clean transportation policy event. The Summit featured keynote speeches from EPA Administrator Gina McCarthy, Indianapolis Mayor Greg Ballard, and the Department of Energy’s new Deputy Assistance Secretary of Transportation, Reuben Sarkar. There were also roundtable discussions and “speed-dating” sessions that included prominent clean transportation leaders from various federal agencies, Clean Cities Coalitions, and the alternative fuels industry. 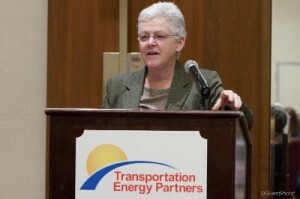 EPA Administrator Gina McCarthy commended the Clean Cities coalitions for their national reach in representing 74 percent of the nation’s population and encouraged Summit participants to continue to partner with the U.S. EPA in their efforts to expand the deployment of alternative fuels and vehicles. 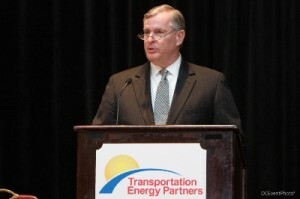 Mayor Greg Ballard spoke at length regarding the national security implications of continued petroleum use, and the necessity of converting to alternative fuel vehicles; an example he has been setting in the City of Indianapolis. Mayor Ballard is working to convert the city’s entire vehicle fleet to run on alternative fuels, and he wants to do it by 2025. 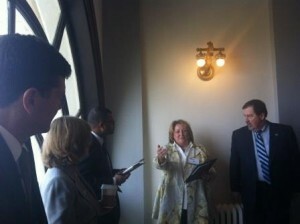 Capital District Clean Communities joined fellow coordinators from New York to visit with Senate and Congressional staffs. The six New York Clean Communities Coalitions cumulatively displace over 40 million gallons of petroleum and reduce emissions by over 150,000 tons annually. It was stressed that this network of coalitions helps private companies and state and local governments convert their fleets while educating the public about the benefits of alternative fuels. All of the Senate and Congressional staffs the Coalitions met with agreed that the United States must aggressively expand it’s use of domestically produced alternatives to petroleum fuel if it is to stabilize gasoline prices, decrease it’s reliance on foreign oil, and maintain and create American jobs. Capitol Hill Day culminated with the annual Energy Independence Capitol Hill reception at the UPS Townhouse. Congressional clean transportation champions Representative John Larson (CT) and Representative Chaka Fattah (PA) both spoke at the UPS reception. Stable and predictable federal investments to enable fleets and technology developers to make sound long-term planning and investment decisions are needed to expand and sustain clean transportation technology. Please consider joining Capital District Clean Communities and other clean transportation industry leaders for the 2015 Energy Independence Summit to echo this message by presenting your own alternative fuels projects and their benefits here in the Capital Region and elsewhere.